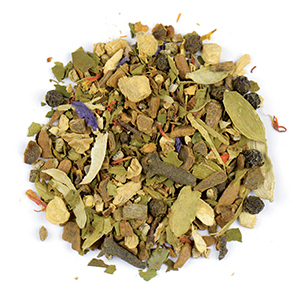 Apple pieces, Rooibos, Ginger pieces, Cinnamon pieces, Fennel, Juniper berries, Cardamom, Raspberry leaves, Chamomile, Cloves, Orange peel, St. Johns wort, Black pepper, Ladys mantel, Silver weed, Natural flavors. 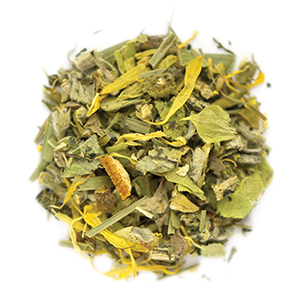 Cinnamon, Hibiscus blossoms, Orange peels, Peppermint leaves, Licorice root, Lemon peels, Ginger pieces, Aniseed, Lemongrass, Lemon balm, Fennel seeds, Orange blossoms, Chamomile blossoms. 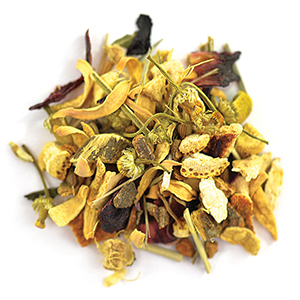 Fennel, Apple bits, Cinnamon bits, Orange peel, Lemongrass, Chamomile blossom, Anise, Silver lime blossoms, Cardamom, Pink peppercorn, Rose petals, Cloves, Vanilla bits, Tartaric acid, Natural flavors. 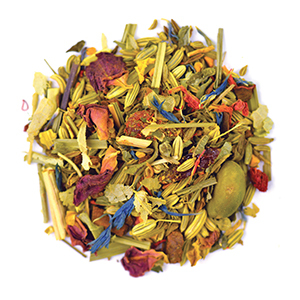 Fennel, Anise, Cinnamon bits, Silver lime blossoms, Curcuma bits, Cumin, Lemongrass, Goji berries, Pistachios, Peppermint leaves, Rose petals, Cardamom, Pomegranate blossoms, Cornflower blossoms, Safflowers, Natural flavors. Contains: Pistachios. May contain other tree nuts. 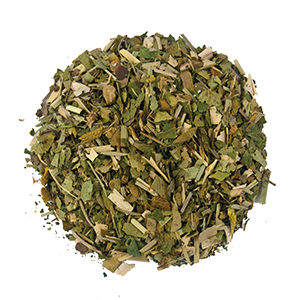 Peppermint, Dandelion leaves, Dandelion root, Nettle leaves, Orange peels. 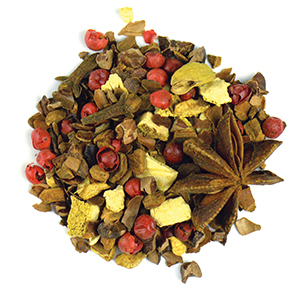 Cinnamon*, Cocoa bean bits*, Cocoa shells*, Orange peel*, Star anise*, Ginger*, Pink pepper*, Cloves*, Black pepper*, Cardamom*. *Organic. 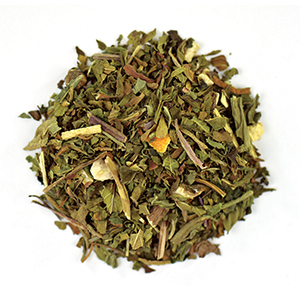 Honeybush, Orange peel, Lime pieces. 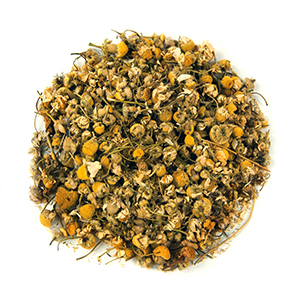 Chamomile, Peppermint leaves, Licorice root. 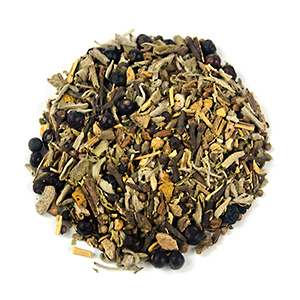 Licorice, Cinnamon, Burdock root, Ginger, Dandelion root, Fennel, Aniseed, Juniper berries, Coriander, Black pepper, Parsley, Sage, Cloves, Turmeric. 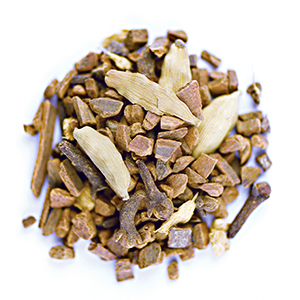 Cinnamon bits, Ginger, Hawthorn leaves, Cardamom, Cardamom peels, Cloves, Black pepper, Cardamom powder, Safflowers, Mallow blossoms. 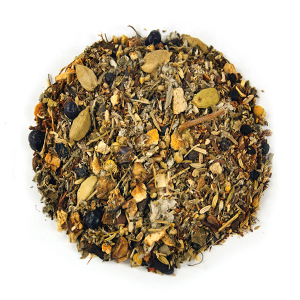 Apple bits, Hazelnut leaves, Pumpkin bits, Ginkgo leaves, Nettle leaves, Lemongrass, St. John's wort, Natural flavors. 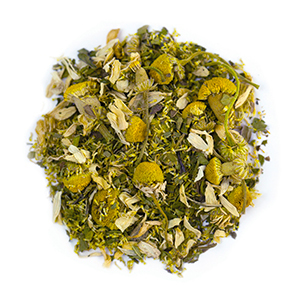 Greek mountain tea*, Nettle leaves*, Lemongrass*, Orange wedges*, Lime-tree blossom*, Marigold blossoms*, Chamomile blossoms*, Natural flavors. *Organic. 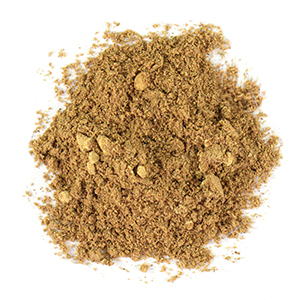 Cinnamon*, Black Pepper*, Cloves*, Cardamom*, Ginger*. *Organic. 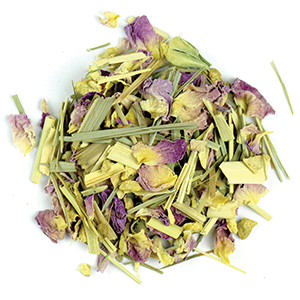 Lemongrass*, Ginger*, Rose petals*. *Organic. Ginger, Cinnamon, Cardamom, Fennel seeds, Cloves, Black pepper, Nutmeg. 1. Bring water, chai base and sweetener to a boil in saucepan. 2. Simmer for 5 minutes or until fragrant. 3. Add Irish Breakfast and brew for 2 minutes. 4. Add milk and bring back to boil on high heat. Reduce heat and simmer for 10 minutes. 5. 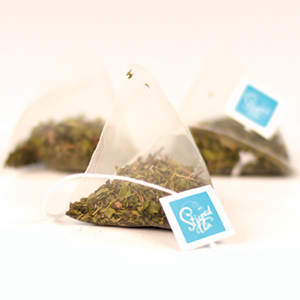 Carefully strain into your favorite tea pot. Enjoy! Substitute Irish Breakfast for tea of your choice. 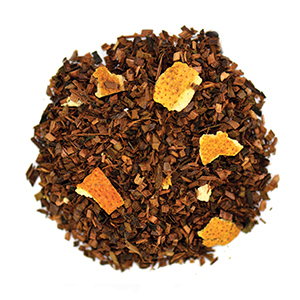 For a caffeine-free chai, use Rooibos tea. 1. 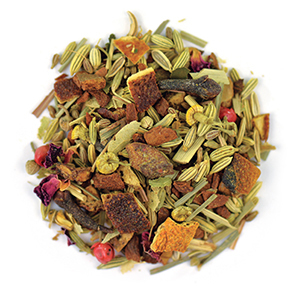 Add Masala Chai Base and Irish Breakfast to tea press. 2. 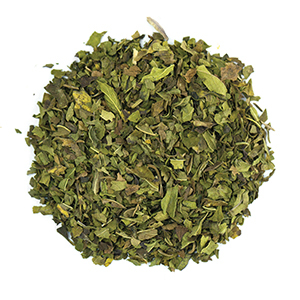 Add boiling water to tea press and steep for 10 minutes. 4. Meanwhile, boil milk or use steamed milk. 5. Add milk to spice-tea mixture and steep for 5 minutes. 6. Press the plunger and pour into cups. 7. Add sweetener, mix well and enjoy! Add frothed milk for lattes using the Party Milk Frother (9279).